While 18 trains arriving in Delhi were cancelled, eight were rescheduled, the Northern Railways said. The Delhi airport reported no delay of flights. New Delhi: 50 trains arriving in Delhi were delayed due to dense fog yet again in Delhi. Trains and flights services have been getting affected almost every day this winter season. On Sunday, as many as 39 trains were cancelled with 50 trains running late and 16 rescheduled, due to low visibility and dense fog. On Saturday, railways had to cancel 18 trains while 49 were delayed and 13 re-scheduled due to fog in several parts of northern India. 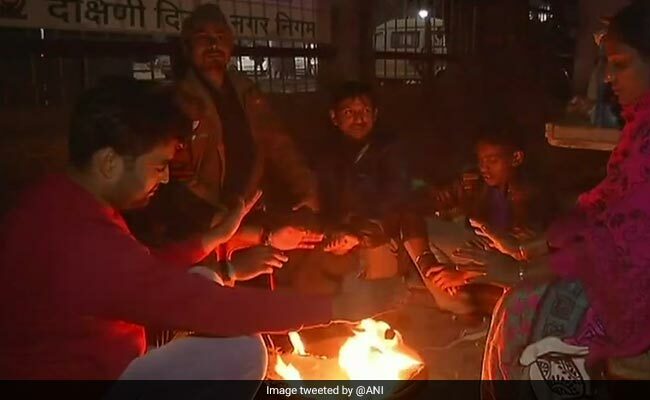 The temperature, too, is very low with January 4 witnessing the season's coldest day in Delhi. While 18 trains arriving in Delhi were cancelled, eight were rescheduled, the Northern Railways said. The Delhi airport reported no delay of flights. Railbeeps.com is fastest mobile friendly website which provides answers to enquiries related to Indian Railways like PNR status, live train running status, trains between two stations and more. The city experienced its coldest day of this season on Saturday as the minimum temperature dropped to 4.2 degree Celsius, three notches below the average. This morning, however, the minimum temperature is 6 degrees. Fog has either moderate or heavy almost everyday and has affected visibility drastically. It has also affected road transport and air transport considerably. Chilly weather has persisted through the past few weeks with the mercury dipping low perpetually. The weather department has predicted hazy skies on Monday. Air quality index in Delhi had dropped down to 'severe' and 'emergency' levels last year with the government taking drastic steps to curb pollution with schools being shut down.